Quilt Story: Fabric Tuesday party time! Cute mini "x" Christmas pillow by hoosier toni. New to Fabric Tuesday? It's easy, just see HERE. Always love your featured quilts! LOVE Toni's pillow made using my tutorial. Fun! As usual, I love all the projects you've chosen! Thanks so much for including mine! Oh, yummy! 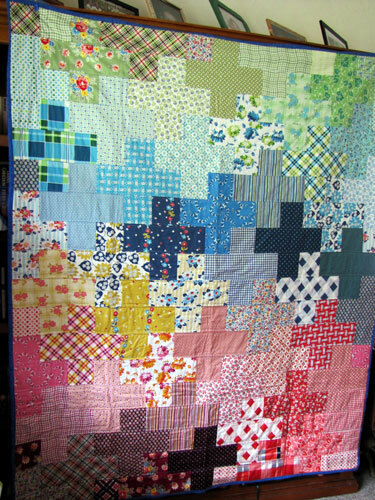 The DS Cross quilt is a new fave! Thanks for hosting Fabric Tuesday and letting me have a spot today. Would you like some fabric?